A beautiful, sentimental story written by Christine and Christopher Kezelos. If you enjoy fantasy and whimsical storytelling, this book is for you. I absolutely loved how the authors wove spiritual wisdom into the book's pages in a subtle yet striking way. The story is a must read for anyone looking to develop more meaning and intention in their lives. I highly recommend this book to adolescents and adults alike. The Magnum Opus would make a wonderful gift for anyone interested in fantasy or fiction. "A child with a knack for solving problems helps some hungry fish and finds a treasure. Illustrated folk tale teaches the value of work and comes with ideas for businesses; money-making activities; and online resources ." This is a cute and nicely illustrated story about earning a living. A boy goes on an adventure and learns how to earn money while he is helping a stranger. This story speaks of being creative when it comes to living life-which is always a good idea! The illustrations are well done and the story is easy for young children to understand. This would be a good gift for a child for any occasion. Plus the book conveys useful information for children in how to be a success in life. Paintings is a collection of poems and images I put together to portray a particular period of time. In my early thirties I became focused on two questions, "Who am I, and how do I want to proceed through life." This project reflects that early contemplation. Compiling this work was liberating yet also confusing because revelations and knowledge, mistakes and ignorance converged all at once. At times, it was difficult to discern which direction I was moving in, but I've come to know there is great treasure everywhere, from the terrible to the terrific. It has taken me 55 years to fully understand I will never reach a quiet precipice while on this planet. I have learned through my own experiences how important it is to know myself so I can nurture and continue to shape that truth from within. I'm so grateful a train of thought was ushered in to provide a place for me to return to in order to remain faithful and fruitful during hard times, but by no means, has this information permitted me to rest. Everyday, I must decide all over again to be kind, thoughtful, and tolerant of others while forgiving myself as I repeatedly fail at this very exercise. In short, these writings are about my desire to be better and to reach higher for the balance between body, mind, and spirit. Paintings consists of 38 poems with 38 accompanying images. Each writing has a reflection of its own. Some relate to moments of great joy, yet others reveal a forlorn sadness while searching for the right path ahead. A few of the poems simply express the beauty of nature that surrounds us. These are some of my life's paintings, I hope you enjoy them. This is a heartfelt book of poetry written about the meaning of life and insights it presents to us in the concept of life lessons. The author did a wonderful job speaking of the things she has pondered upon during her journey here thus far. If you are looking for a book that will inspire and uplift, this is a great one to invest in! It would make an excellent gift for a friend or loved one. A perfect addition to a morning cup of coffee or tea! It paints a beautiful picture in words and art just as the title suggests! 1. Please tell me about your book and why you decided to write it. “Paintings” is a collection of poems I wrote many years ago. In 2012 I decided to put images alongside these short tales in order to produce a book. The poems cover a wide range of experiences that include success, failure, wonder and despair. In my 30s I began to experience for the first time, prolonged moments of genuine happiness. It was through that first glimmer of light a profound sense of joy began to make a permanent home within me. So I would have to say, because of my own experience with inspiration, I was compelled to write about my life lessons. I have come to respect how very different we all are, and it’s because of our unique backgrounds, experiences and individual decisions that we journey through life beside each other, yet separately. However, it’s through our emotions that we connect deeply with one another to diminish the space between us. It’s within that shared place I want to contribute something. 2. What do you hope to accomplish as an author? I’d like to be helpful through my words. 3. What would you like your readers to know about you? I used to think I wanted to be identified as a good writer and receive a pat on the back for my skill in bringing an idea forward. Yet because I’ve chosen to write about emotional subjects, I now know the real value comes from allowing others to privately recognize something universal about themselves which leaves me, the writer behind. It is here I would say the struggle, has at times, been strongest because it’s taken much contemplation to understand a feeling of pride won’t sustain me. Within the process of creating and sharing, I continue to be shown if I successfully leave my ego out of the work then I’m fed with joy, and a sense of connection fills my spirit. 4. Do you have any works in progress? What are they? Yes. I have many files of writings that I intend to format into future collections. These more recent “papers” as I like to call them, have taken a departure from the poetry genre to assume a more direct voice. As with the poems in Paintings, these works are central to an experience, decision, or train of thought connected to my emotional base. I’m also working on my autobiography. I have been lucky enough to live an unusually diversified life, and I believe there is good treasure to be shared by way of the many peaks and valleys I’ve come through. 5. If you could have one wish granted, what would it be? I want to fulfill my purpose in life. I believe that my writing figures into this concept very strongly, but it’s not enough to simply write about subjects that range from sadness and pain to forgiveness, kindness and tolerance. I have to blend with a higher standard through my daily practices. If I can tip my inner proclivities in favor of words of light and minimize the hold that anger, fear and confusion have over me, then I’ve done well. 6. Do you have any other creative outlets? If so, what are they? Yes, I have many! I enjoy rendering digital art, photography, home design and making jewelry boxes. I particularly enjoy the simple aspects of taking care of the home I share with my partner, Ben. I find much pleasure in adding a special touch to our private world, whether it’s by applying a faux finish to the living room walls or simply cleaning the kitchen. I try to be mindful with every task I take on because that’s where the joy is. Bravo, Elphie’s new pet, is stuck on top of the red slide. Elphie never climbs the red slide. It's so high, its goes all the way into the sky. But now he needs to embrace himself and gather up his courage to rescue Bravo. Good thing he never leaves the house without his cape! Join Elphie and Bravo on this colorful bittersweet adventure. This is a cute picture book about a young elephant and his pet rat going on an adventure in the park. The pet rat is a little braver than Elphie and climbs to the top of the slide. But when he is too afraid to slide down, Elphie has to conquer his fear of heights and go get his pet Bravo. They end up sliding down together and Elphie is amazed at how easy it was. The moral of this book is a good one: don't be afraid to address your fears! A wonderful concept for young children to grasp which is easily conveyed in this story line. This is a fun book that kids would enjoy, complete with cute, colorful pictures to add to the experience! Magic awakens in Early America. The Red Wraith is born. On the eve of the Harvest Ceremony, Naysin, a child of the Lepane nation, manifests powers of a dual deity forever torn in two by light and darkness. Cast into exile by his clan for being a spawn of human and spirit, Naysin is lost in a world of change as pale men from the sea arrive to plunder the riches of the Earth. Guided only by the devious facets of his spirit father, Naysin has no choice but to master his powers to survive the destruction of his people. And so the legend of the Red Wraith begins. For Naysin, it is a path of darkness and death that will take him from one end of the land to the other and down into the depths of infamy. The New World will know him as the indigenous monster who kills in the name of vengeance, but that’s not who he wants to be. And when he encounters a group of fellow magic-users, Naysin realizes he may yet have a chance to set everything right. This book was written about a young Indian man named Naysin who was the offspring of human and spirit. Having been branded and exiled from his people, Naysin was forced to strike out on his own and contend with the dueling powers inside himself as he searched for the meaning of his existence. This was the story of Naysin's awakening to a higher calling and predestined life purpose. The Red Wraith was a fantasy book with some history woven into it. The writer expounded on the main character's plight and developed the story around his situation. Therefore, it had huge doses of fiction and fantasy...which is a good thing because I love both! If you are also a fantasy fanatic, this one's definitely for you! 1. Please tell me a little about your book and why you decided to write it. The Red Wraith is a historical fantasy set in Early America. The protagonist is a Native American who becomes the focus for magic’s reentry into the world. From there, I did some additional research, picked a real-life location for the steep hill (Monk’s Mound, a giant earthen pyramid near St. Louis and the impetus for some dumb luck I had when I was on an archaeological dig in college), and started writing. 2. What do you hope to accomplish through the publishing of your story? Primarily, I hope anyone who reads the book enjoys the time they invested in it. But it’d also be great if some readers found the historical elements interesting enough to investigate on their own. 3. If you could meet one famous person, who would it be and why? Oh, man—I bet pretty much everyone starts by answering this with “It’s hard to pick just one.” But let’s keep it topical and go with Jacqueline Carey. Her Kushiel’s Legacy series is a masterpiece of historical fantasy, and one of the main reasons I got into the genre. I moonlight (daylight?) as a barn hand. My wife loves horses, so about six years back, we moved to rural Michigan and found a property with 11.5 acres. Now we have four horses and lots of farm chores. They get me away from my desk, though, and completing a manual task gives me a satisfaction I can’t get from typing up a digital document. 5. What is your favorite food, color, place, activity? Sushi, blue, Vancouver, and (assuming I’m not allowed to say writing) playing basketball. This is a light-hearted and amusing fantasy about a young man who is accidentally transported to an alien world. It is a medieval world and the magician who pulled him from his own was only practicing! Jojo is frightened out of his wits and finds himself in the middle of a needle match between the magician and the King's henchman. As the magician ignores his pleas to reverse the spell and send him back Jojo looks for a way to force the issue. This is out of character for the normally happy-go- lucky Jojo, who usually just drifts through life. He comes up with the idea of making a revolution and dethroning the King. He finds allies to help him and the plan swings into motion. Of course, everything goes wrong from the start. This is a humorous fantasy story that takes place in a medieval village. The main character from modern day England is transported via a wizard to the medieval dimension for the purpose of collecting information. The wizard ends up keeping the man, named JoJo, in the dimension as a source of amusement. The book follows JoJo's desperate attempt to cause an uproar in the realm thus forcing the wizard to send him home reluctantly. There are some funny scenes. But the humor is adult; this is not a book for children. There is a lot of slang used from the perspective of English society, but I didn't find it difficult to follow. I did run into a number of typos and spelling errors, but despite that the book was easy to read and understand. The book was written in a sort of monologue of the main character. Everything was described by the main character's perspective with some dialogue peppered into the manuscript as well to add interest. I do wish there had been more dialogue as well as a touch more character development and detail added to parts of the story to make the pace a bit faster. All in all, if you enjoy fantasy and humor, you would find this story entertaining. It did provide some much enjoyed laughter! Set against the backdrop of the Jamnagar Helicopter crash on 30 August 2012, where two helicopters of the Indian Air Force had a mid-air collision, this story is a reality fiction, loosely based on the true story of an Air Warrior from the Indian Air Force. Narrated through the silent echo of the sorrowful heart of one the shattered families, their pain is best expressed as silent streams of tears flowing noiselessly down a pair of eyes that have intensely loved and sadly lost. Sometimes, when the heart weeps, there is only language that it understands…..Silence. This book was based on a very touching story about a woman who lost her husband while she was pregnant. The dream entries were quite poignant but I had a bit of trouble with the rest of the manuscript as it was written in a very formal manner. This book was interesting as it came from the perspective of an Indian woman. It speaks of the Indian culture and the expectations towards women as well as the subculture of the Indian Air Force. At times I was confused as to some of the lingo because it was written from that perspective. However, the book speaks in a humanistic way as well when it describes the tragedy and pain of losing someone close to one's heart. Overall, I would recommend this story because it gives unique insight into India's cultural expectations towards women. It also speaks of the tragedy of love lost and dreams coming to an end-something everyone can relate to. If you enjoy studying other cultures or can relate to the pain of loss, this story is for you. 1. What prompted you to write your story? I had always wanted to do something for my husband; something that would make him proud. This story is a tribute to him, a homage to what he did for his country and the principles he stood for. Also, the support that I got from my organization helped me and my family bounce back and start living again. Hence, this book is my way of expressing my gratitude to all the men and women in blue and their families. 2. Is there anything autobiographical in your story? Yes, it is my story. I re-live a particular event in my life through Apoorva. All the characters exist in reality. Hence, names have been changed to protect their identity. Since the story is based on a real-life incident and narrated as a fiction, hence the genre is reality fiction. 3. What would you like to accomplish as an author? My sole aim as an author is to narrate stories that can evoke emotions and touch a chord in the reader's heart. I wish to write about events in my organization which would bring out its humane side. Also, I want to write about things, people and places that have touched my life and brought about a positive change in me. I believe that every story has something good to offer its readers. I dream of my stories to have something to share with the readers. I would like my readers to accept me as I am. I am but one of the woman in blue who would do anything for her organization. I am a wife of a martyr and wish to continue being acknowledged as his spouse and not a widow; after all, his not being physically present in my life does not mean that he is no longer my husband. Why label me a widow, when I am still married to the man I call my husband? Above all, I am a mother who wants her children to remember their father as a man who loved his family, loved his country and loved his uniform. In short, I am like any other woman who wants to live a life of dignity and retain her sanity inspite of changes in ccircumstances. If I could have one wish granted to me it would be to make sure that no woman whose spouse is dead is called a Widow. The very existence of this word acts as a stigma and makes a woman vulnerable. Its bad enough to have a spouse missing from one's life, but it is worse to be thought of as readily available for lecherous men. 6. If you had one day in life to do whatever you wished, , regardless of cost, what would it be? I would want a time machine to take me and my two kids into the past so as to spend that whole day with my husband. I was pregnant with my second child when he had died. I wish I could get him to meet his baby, now grown up, in person. Demon's Ink is an interesting tale about supernatural encounters and spiritual ramifications. The reader journeys down corridors of religious implications as he/she joins with the main characters of this book.. 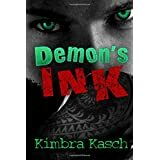 If you enjoy paranormal writing, you'll enjoy Demon's Ink. The story line is suitably gripping and is deserving of a 4 star rating. The only reason why I rated it 3 stars is because there are some formatting issues which need to be addressed. However, the plot is well constructed and the characters are easy to believe and identify with. 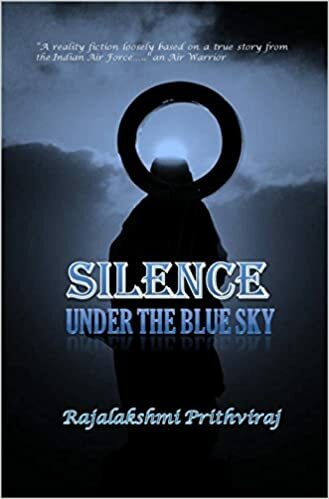 Further interest is generated into the story by the author's use of biblical quotes and symbols making Demon's Ink suitably compelling and thought provoking. A great read for the upcoming season of Halloween! I loved Stephen King’s Needful Things and the idea of a Demon taking up shop in town, where people buy needless objects that end up costing them more than their lives. And with so many people getting tattoos nowadays. . . I thought I could put a new twist on an old tale. 2. What is your favorite genre to write? Food: Could I say coffee…? No. That’s not a food. So, I’ll say chocolate. Activity: Reading/writing and maybe running. I grew up in a family with 9 kids and 1 t.v. so I spent my afternoons reading. Maybe not having much when I was growing up, brought me more as a grownup. I just sold a romantic thriller to Clean Reads and now I’m working on a historical horror. 7. If you could give one piece of advice about life to your readers, what would it be? Set goals in life and then don’t let anything get in your way…not even yourself.